Sealed quench furnaces, continuous carburising furnaces and pit furnaces provide three of the most popular methods for treating low carbon and alloy steels to improve the surface hardness and surface durability of steel-alloy components. A group of processes are carried out, each of which brings specific benefits to the finished part. 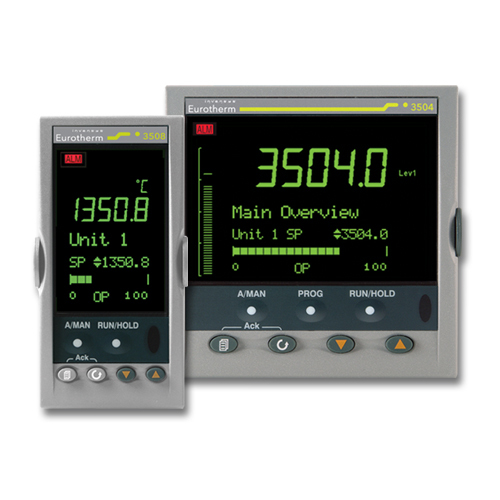 Eurotherm world renowned control algorithms for atmosphere, temperature and quench control. Advanced carburizing atmosphere control strategies using 3 Gas IR spectropscopy and on-line carbon diffusion control. Eurotherm delivers furnace control solutions for continuous and batch gas carburising furnaces to meet stringent regulatory demands including AMS2750 Revision E and TS16949. Find out more about gas carburising process, control systems and discrete & integrated gas carburising control solutions.